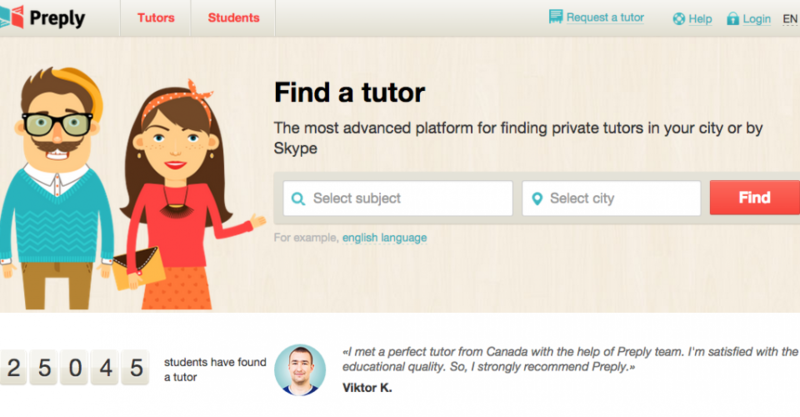 Preply, an online marketplace for in-home and Skype tutoring, raised $120,000 from TechStarts Berlin. Founded in 2012 by Kirill Bigai, Sergey Lukyanov and Dmytriy Voloshyn the company has already received a combined $200K in January and October 2012 seed rounds. Preply is a platform where private tutors and students can find each other. It currently serves Russian-speaking market in Ukraine, Russia, Belarus, Kazakhstan and 6 months ago they expanded to Warsaw, capital of Poland, with further plans to move on to Germany and Brazil. The platform offers the services of around 9,000 tutors (a twofold increase since early 2015) in 12 foreign languages, including English, French, German, Russian, Polish, Japanese, Arabic, Chinese etc. To date, around 25,000 people used the Preply to find a tutor. Try tapping into the $20 billion private tutoring market in South Korea where superstar tutors make up to $4 mln! As a monetization model, the website gets an 18-33% share of tutor’s income depending on volume of lessons taught. The company currently earns around $30,000/month and foresees a 5 times increase in 2016. The team counts 14 people, mainly in marketing and development. The $120,000 injection from TechStarts Berlin will be spent on marketing and advertising to expand to other European countries as well as to strengthen Preply presence and increase visibility in the existing markets where there are strong competitors such as Repetitor.info in Russia, Ukraine, Kazakhstan and Belarus, and E-korepetycje.net in Poland.